How does Evernote work on Your Kindle? NOW UPDATED for Traditional E-ink and Fire Versions! Evernote on Kindle explores your options for using this amazing multi-media notepad application with your device - whether that is a traditional grayscale e-ink Kindle or the new full color Fire tablet. I have older e-ink devices (I'm still using the old keyboard version) as well as a brand new Fire HDX so I hope I can help you out either way. 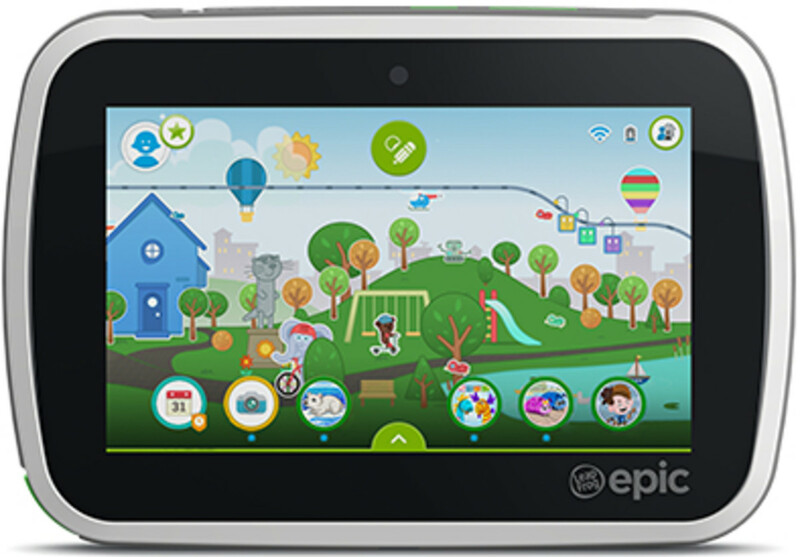 Amazon's Fire tablets work with the free, Evernote android app which you'll find on this page. What do you want with a notepad on one of these devices. Well none of them currently have any pre-installed note apps for you to use. On e-ink devices, you can make notes in your books but that's not as good as having access to a standalone program for jotting whatever you need down. On the full color tablets, there are different choices for notes but I still think Evernote is the best overall since it is something that can be accessed from mobiles, tablets (most brands) and computers. When you get your Kindle Fire tablet, you'll be able to use the Free Evernote app which also works with android mobile phones. It's pretty much a must-have application that is cross platform which means it works on numerous devices - PCs, Macs, Android mobiles and tablets, iPods, iPhones and more. Store all your notes, webpages, audio and photos and be able to access them on the majority of devices. Smart. Sometimes the Evernote Android App is unavailable (I'm not entirely sure why, perhaps due to development) but you can check the app Availability. If available it will have Download: $0.00 underneath the logo or if it's unavailable it will have Currently unavailable under the logo. 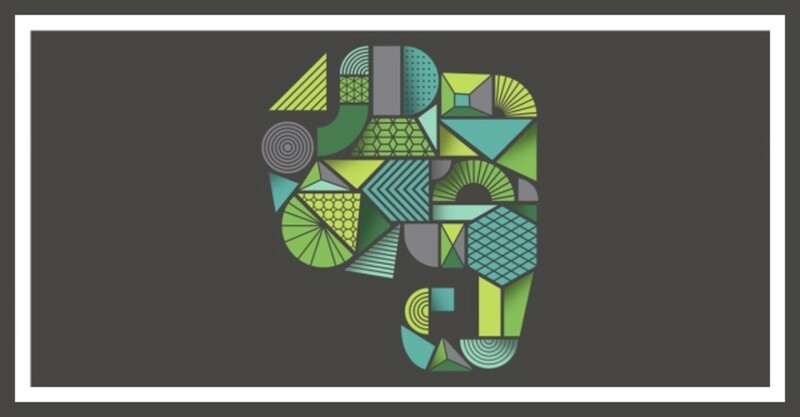 Evernote's actually more than just a Notepad application. It is a fantastic tool which can be used for text but can also store images, web pages, snapshots or clippings, pdf files, audio and more. Essentially it is a rather large digital filing system which holds all the information you want in one single and very handy place. Everything you keep in this amazing app is stored online so it can be accessed by pretty much anything with an Internet connection. The clever part is that even though the central data is stored online for you, you can still use the actual apps offline (without an Internet Connection) and the core data in the cloud will be updated as soon as you are back online and then your other devices will be updated too. So it's very smart. I have the app on my PC, laptop, my Fire HD, Fire HDX and mobile. So all my notes, ideas, and clippings can be accessed from any of my devices. You can group related information into different notepads and these can hold notes, audio, pdfs and photos etc. I use it to jot down ideas, store recipes, hold research for articles and lots more. It's a very versatile app. I have the older version of the 2012 Fire HD and the latest HDX from Amazon. All the Fire tablets work with the Evernote application which is free when you go to the app store and select it. You cannot get this application on the traditional (greyscale screen) e-ink Kindles although there's a workaround for being able to make use of it still. Personally I prefer the color Fires although they're not so good if you read outdoors in the sun a lot. I have the HD version of the Fire (and more recently the HDX) and the purpose made app works great on them. Kindle Fire ColorNote Notepad Notes - Perfect for Short Memo Style To Do Notes! If you simply want a Kindle Fire app which you can use to store all your short notes, notes that would normally be on a sticky, in one handy place - ColorNote Notepad notes is a great option for you. Help to keep yourself organized with notes that you can color code. This is the app I use as a notepad, along with Evernote. You can easily share notes from your Kindle Fire and send them to Evernote, email and many other options. If you prefer writing to typing on your Kindle, here's an app which allows you to take handwritten notes. You can use your finger but you'll definitely benefit from using a stylus on the Fire's small screen for better accuracy in note-taking. Convert your written notes to digital text too. Inkpad is made to look like a traditional paper notepad. Simple to use and you can type whatever style of notes you want straight into your Kindle Fire. What's an E-Ink Kindle Device? An e-ink Kindle is one that currently has no color screen. This range of devices are specifically made to read books and the screen only shows different shades of grey. These Kindles are different to the Kindle Fire Tablets which are full color, glossy screen multimedia devices - great for gaming, web, music and movies but not specifically great for reading books. Evernote is not the best notepad for your e-ink Kindle because it hasn't been optimised for the device. But, if Evernote is your preferred Notepad and you'd like it to work with your Kindle - then read on! With the inbuilt Web Browser (Home / Menu / Experimental / Launch Browser - on my Keyboard version) you can access and use the mobile version of Evernote which is at www.evernote.com/m - on the older Keyboard device, you'll need to press the SYM button or command to add in a forward slash symbol. With newer devices, you should get this in the touchscreen keyboard. If you don't yet know how to view web pages on your e-ink Kindle device (Keyboard, Paperwhite and Touch versions) here's how you do it. Please note that these instructions work specifically with the older Keyboard version, you might need to follow a slightly different route with a newer Paperwhite. As you'll see, the mobile version isn't much to look at. It does load up reasonably quickly and you can also search and view any notes which you have. I don't personally recommend the full website on a Kindle (www.evernote.com) because it takes quite some time to load and it is very awkward to navigate. In my own tests, I found it impossible to use any useful buttons like New Note, Edit or Delete. So that's why I recommend the mobile version if you just want to view notes. One huge disadvantage of the mobile website is that although you can make a new note (press next page until you hit the end and select Quick Note) you are only able to apply a title and tags to it - the last time I used this trick. You can't place or input any text into the main section of a note. So not very useful! So how do you work around this? I hope you are finding this lens page useful because it has been written with care. Carry on to discover how to get round this issue below. 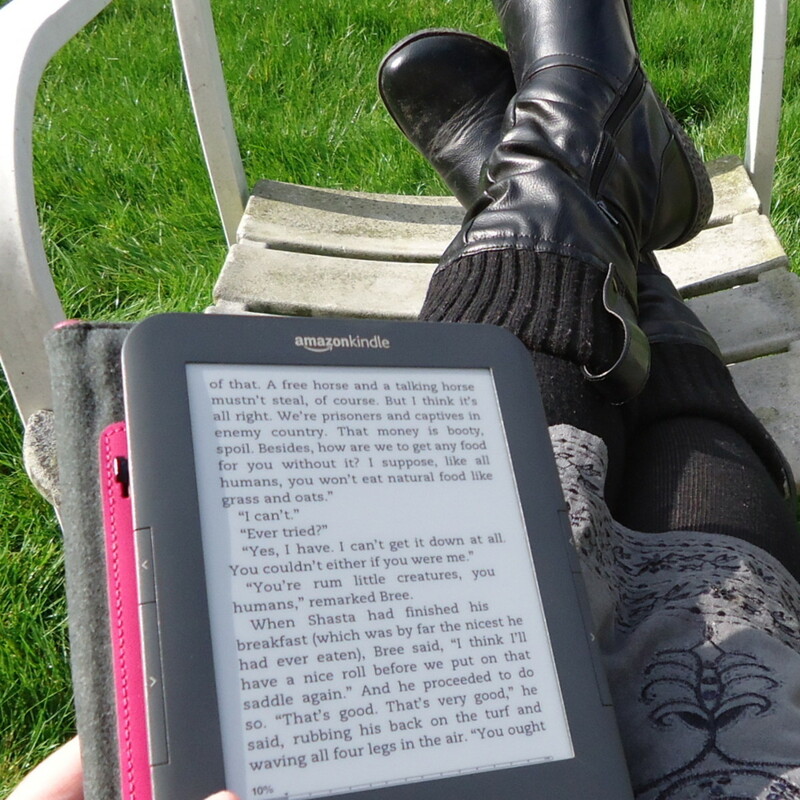 You can now get a ereader with 'read in full sunlight without any glare' functionality at a super-low price on Amazon. This has no audio (audiobook or music) capability but is excellent just for reading. 1) On your PC or Mac go to the Evernote.com website and select "Settings" which is at the top of the web page. 3) You should now be looking at a section called "Emailing to Evernote" - and there is your very own special email address. You use this email address for sending content into your application via email. 4) Copy down the special email address and add it to your address book or preferably as a contact to an online email account such as yahoo or gmail. 5) On your Kindle, log in to your online email account using the in-built web browser and compose your note. The subtitle section of your email will be the Note title and the content of your email will become the body of the note once opened up in the application. 6) Send the email to the special email address to create your note. What would you use a Kindle Notepad for? How would or do you use a Kindle notepad? Choose the most frequent use. 1) How to Email Not from your Amazon Kindle but it does give you a very good idea of how to send emails to Evernote! It shows how to log in to your email account and compose a note in the body of a new email and then send this to your special email address. The title of your email becomes the note title when the email appears in your account. 2) How to Add an Email Contact into Gmail This second video shows you exactly how you can add in an address into your email account as a contact. Normally you'd do this with people such as family and friends who you mail often. Use this technique to store your special Evernote address as a contact because it will make it so easy for you to send emails quickly from your account. Most online mail accounts have some form of adding in contacts - so the same theory applies. I love my kindle too and this app looks like something I need! Thanks for the share. I love my Kindle. It is perfect for long trips because I used to bring 3 or four books with me and this takes up much less space. This app looks like something I will definitely be downloading. I have been looking for a note taking app. Can't wait to try it out. Thanks for the information. I had never thought of using Evernote on my Kindle fire, but I'm certainly going to start now. Great info. @three michi: No. The Evermore app will only actually install on a Kindle Fire device which is like Amazon's answer to a tablet PC. You can't add apps like that to other Kindles. You should be able to send emails to your Evernote account on any Kindle that has web access - I'm not familiar with the $69 version to know whether that does or not. Would this app work on Kindle that cost 694? I am still just using the free Kindle on my Android. Explains my crossed eyes. I am thinking about a real Kindle and this lens encourages me to see it for the things it can help me manage beyond just reading! Yes! Love having so many books along when I travel! Great explanation of these note apps - thanks! I have a Kindle, it's my second (my granddaughter broke my first). I use it mainly for reading and annotating PDF articles on my train journey but using an application where I could email the notes to myself would be awesome. I actually downloaded evernote to my new tablet over Christmas but deleted it because I couldn't make head not tail of it. After reading this, I think I should try again because it sounds just what I need. Wow - what a terrific explanation of how to take full advantage of the Evernote app on a Kindle! Beautifully done and really helpful. @Margaret Schindel: Thank you very much. I really enjoy using this app. I'm just learning about Evernote. Lots of good info here, thanks. @sunlightseer: It can do. It is a very useful tool - especially if you hoard a lot of information! @CuriousBoy: Yes it is very useful, especially on the Amazon Fire tablet - you can use it for notes but I also use it to save web pages for viewing at a later date. Very handy. And free! @KathyMcGraw2: You got the Kindle Fire did you Kathy? That is a lot of fun - I use mine every day: email, games, internet, videos, music - all in one handy device. I bought the fast charger with mine called the Powerfast charger. It does a speedier job of charging it up. Thank you so much for your visit. I didn't know that was available for Kindle! Thanks for sharing interesting and useful info! I think this lens will be useful when I finally get a Kindle so I've bookmarked it (and liked it). Just to let you know - you have a couple of links to a kindle notepad app but Amazon is showing that product as not available. OMG Evernote is going to change my electronic life!! Thanks for sharing. @anonymous: Great. Glad it was a good visit for you. Really informative lens for Evernote and Kindle, I like your lens. Thanks for sharing, great lens. Very good information on Evernote and the Kindle. Very information lens! I will have to share this info with my spouse who's been hooked on Kindle since getting once last Christmas. I'd never heard of Evernote before. Okay now I am off to check out the kindle evernote application to see what it is. In your upper photo it shows the kindle as having a keyboard but I do not see the keyboard on the tablets? @mihgasper: Yes, Evernote is very handy. I use it on my ipod, my phone, my laptop, PC and Kindle! Thanks for stopping by. @kislanyk: Thank you very much, Marcia. Evernote is very useful app for all kinds of gadgets. I use Evernote but never thought can use on the Kindle. Great lens. Hello Marie, I'm sure this article will help those considering Evernote for their Kindle. I don't have kindle, but I use Evernote on my mobile phone and pc. Very useful app. @Pennyseeker LM: Thanks for your visit. @tabigo: Ha, ha. Not quite! Thanks for stopping by. @Ericastanciu: Thank you for your visit! That's so cool! I had no idea you could do that. Thank you for the great information. @anonymous: Thanks for the mention, it's something I'll have to look into. Sounds even better if it's free too! @ernieplotter: Thank you kindly for all your comments, I'll do my best to drop by soon. @pheonix76: Evernote is handy and free! Hope you get to try it soon. This will be a nice app for my Kindle thank you! Perhaps you would like to check the tip on my Kindle lens, itÂ´s about how to get rid of the ads in the device. Sounds like a very handy application to use with the Kindle devices. 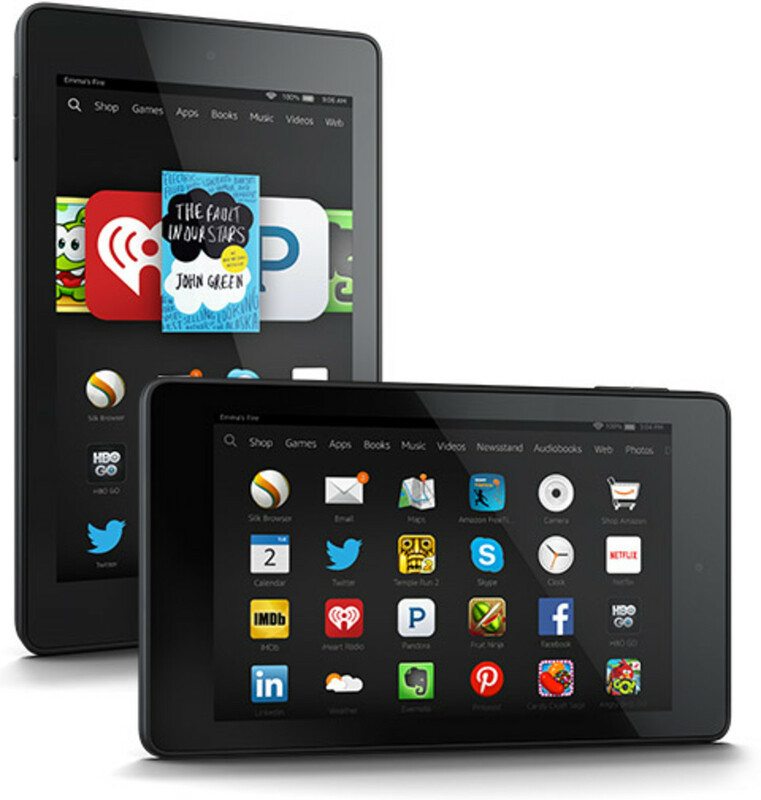 I am considering buying a Kindle Fire soon! Thanks for the information. This is a nice Kindle lens, I don't have one, but would like to have one someday. The Evernote app sounds handy. @daddytims lm: I wish I had a Kindle Fire to check the app out on! You can't get them in the UK. Anyway, enjoy! Thanks for your visit. 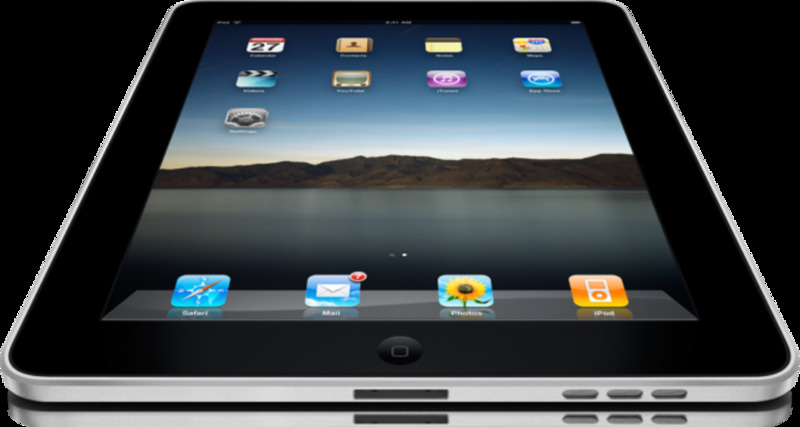 @SusanDeppner: Yes I would check out the free apps for Kindle Fire like the evernote app. Thanks for stopping by. I'm not using a note app on my Kindles yet. Guess I should look into Evernote for my K-Fire. Thanks for the great information! @DebMartin: Thank you so much for visiting, I appreciate it so much. Maybe you'll get a Kindle for Christmas! I don't own a kindle and I'm considering one. So I'm reading everything I can get my eyes on about the Kindle. Thanks for adding to my knowledge. @nadjaiskeniskie: I know, sorry! I can't get the app here either in the UK. Hoping that one day we'll get it! Not available in Oz. **sad face** Guess I'll continue to use crayons and the back of envelopes for my portable note taking. BTW - purple crayons taste the best. Bah. I was delighted to see a Notepad app, but no, US only (whyyyyyyy?!). Unfortunately I was hoping for an offline option, as I might as well save notes in my own email. 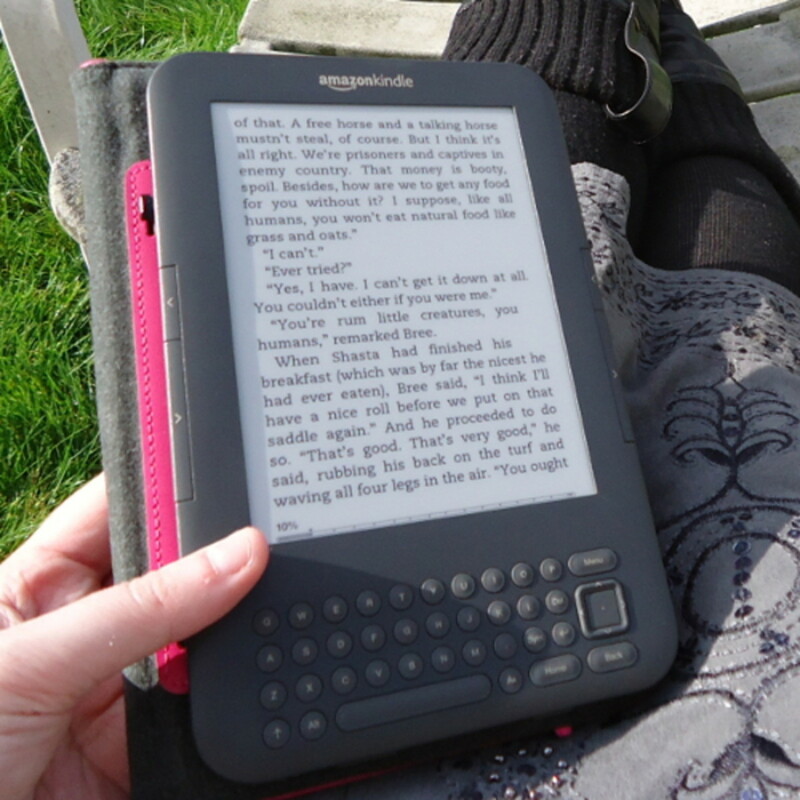 @ICanCook: I remember that excitement when I first got a Kindle and a couple of years later I'm still loving it! Enjoy yours and thanks for your visit. Finally got a Kindle. Love it. Love it. Love it. I wanted it from it was selling for $500 and although I could have bought it, decided to wait. I must say it is sweet and I believe I will be reading more now because of it. Knowing that there is a notetaking app is a true plus. I had no idea there were such apps for the Kindle. @anonymous: Evernote is a truly useful application - best thing I like is emailing links to things like videos and web pages that I want to look at properly on a pc. Great for archiving recipes, important docs etc. Thanks for your comment. @anonymous: You're right too many choices - if I had unlimited funds there are loads of cool devices I'd buy :) Thanks for stopping by, my neck and neck! I don't have a Kindle, but I use Evernote on my PC. Evernote is wonderful! Hmm... your poll options are too limited! Am still trying to narrow down on a portable device to subsist with my laptop and the choices are indeed daunting! Password below: unabashed - Sums me up in a word! @MariaMontgomery: Hi Mia-Mia - afraid I don't know much about the Nook as we don't get it in the UK. If you can use email on the Nook then you can email notes into your Evernote account. Thanks for stopping by. Hi, KinWorm. I enjoyed your lens, but was wondering, is Evernote just for Kindle? I have the Nook, and have downloaded a notepad app, but am not really happy with it? I'll keep searching. Keep up the good work. @aesta1: Thanks for stopping by - I appreciate it. Would love to have this in my Kindle. I love Evernote, and I love my Kindle! Too bad my Kindle is version 2 so I can't combine them. Oh well. They are already helpful enough as it is! I love Evernote. It is one of my favorite tools. I had no idea you could use it with Kindle. Thanks for the great information. Yes I particularly love how easy it is to snap a photo on my iPhone and then email it straight to Evernote. Brilliant app. Thanks for your comment. I have evernote on my iphone and I love it.